One man's trash, three men's treasure! In small towns and along America's back roads, treasures are waiting to be uncovered. Valuable relics from our history are hidden in junk piles, buried in barns and stacked in garages. It takes experts to find them and turn dust and rust into riches. AMERICAN PICKERS follows two of the most skilled pickers Mike Wolfe, owner of Antique Archaeology, and his business partner, Frank Fritz as they hunt down objects with historical, collectible and pop culture value that have long been forgotten by their owners. Along the way, they meet people whose stories open a window into American lives and history. 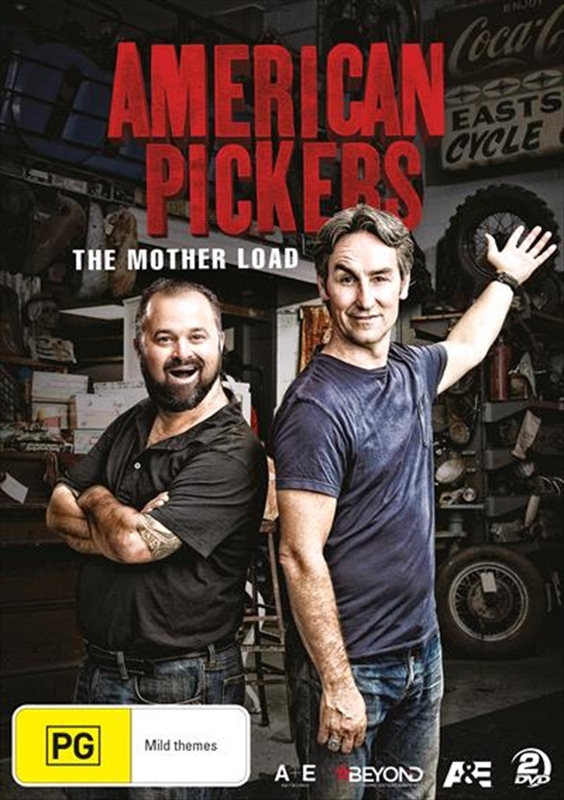 In this collection of AMERICAN PICKERS, Mike and Frank find a stash of untouched inventory from one of the country's oldest bicycle and sporting goods store, accept a special invite from Indiana's Model-A Ford lady and fall hard for her ultra-rare barn-fresh Model-A tow truck, and come across a hidden hideaway filled with history and even some mementos from a bluegrass legend.